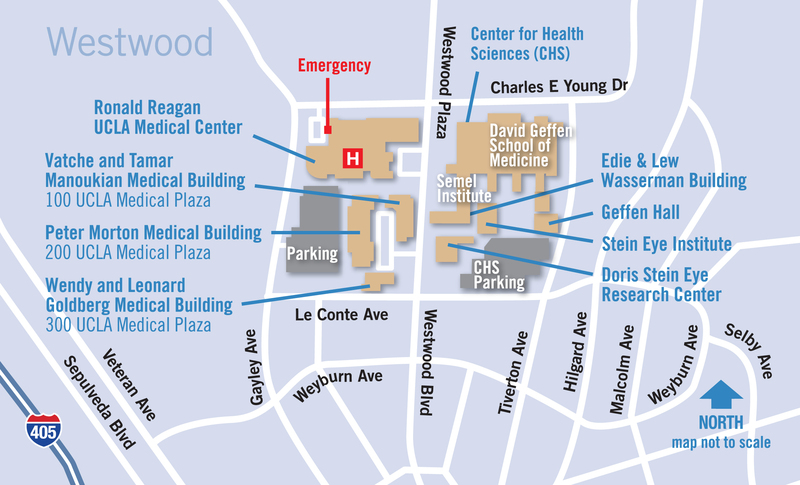 Click on the floor plan map to locate key services. 24-HOUR parking fee is $22 with in and out privileges. With disabled person's parking placard is $14 with in/out privileges. Show disabled person's placard to valet attendant. For information regarding long-term discounted parking permits, please visit the UCLA Transportation Services - Patient Parking information page or contact Patient Affairs at (310) 267-9113. 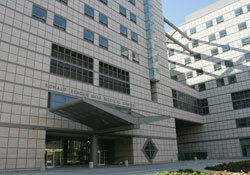 If you need to reach the Parking Cashier office located on Level P, please call (310) 206-3934. Dockweiler State Beach is the closest RV Park located approximately 14 miles southwest of the UCLA campus. Dockweiler RV Park is close to the freeway and has full hookups. Take any north-south freeway in L.A. County to the 105 Freeway, and head west. The 105 exits onto Imperial Highway, and the RV Park is at the end of Imperial - on the beach in Playa del Rey.